Automobili Lamborghini has launched its Huracán LP 580-2 in India, a two-wheeled drive version of the Italian sportscar marque’s popular Huracán coupe. 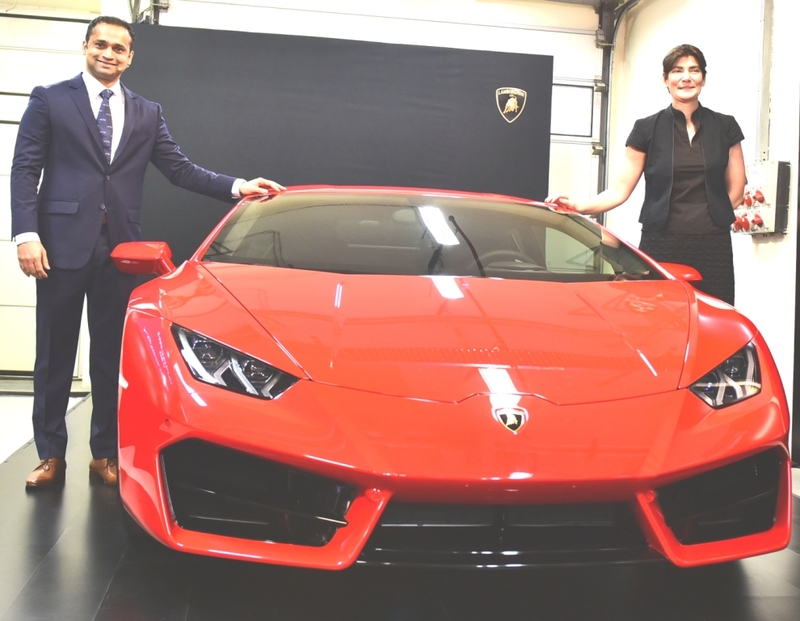 “We are delighted to be unveiling the Huracán LP 580-2 in India within just three days of its global launch,” Pavan Setty, Head, Lamborghini India, said. It will be priced at INR. 2.99 CR Ex-showroom Delhi. There are only a few Lamborghini cars in India due to the high prices. However, the brand has seen its popularity increase in recent years, partly due to rising incomes and partly because of increasing aspirations of its young, urban middle class. “Specifically designed and engineered for its rear-wheel drive set-up, the Huracán LP 580-2 combines dynamic new looks with a package for an enhanced and even more intense Lamborghini driving experience,” the brand said. The Huracán LP 580-2 has a naturally aspirated V10 5.2 l engine that produces 426 kW or 580 horsepower. The model has a dry weight of just 1,389 kg, or 33 kg less than the four-wheel-drive version. The model achieves a weight to power ratio of just 2.4 kg/hp. The LP 580-2 uses the Huracán’s hybrid aluminum and carbon fiber chassis, contributing to the lower weight. It will have three driving modes — STRADA, for daily use, provides a slight understeering feedback and is traction-oriented; SPORT, is for sporty and emotional driving fun with slight oversteering behavior; and CORSA, ensures maximum performance in track mode, providing a neutral steering behavior. The front and rear of the Huracán LP 580-2 have been redesigned, accenting a young, fresh and more assertive look and highlighting the aeronautic styling. The large, newly formed front air intakes specifically direct the cooling air and headwind to increase down pressure on the front axle. The spoiler lip at the rear works together with the rising diffuser in the underbody to improve airflow around the rear of the car – the Huracán does not require a movable rear spoiler. The Huracán LP 580-2 sits on new, different-sized 19 inch Kari rims, enhancing the car’s dynamic expression. Pirelli PZero tyres have been exclusively developed for the rear-wheel drive car. Steel brakes with aluminum brake disc calipers have been specially contoured for weight reduction and improved cooling. The Huracán’s V10 5.2 l naturally aspirated, mid-mounted engine will offer 540 Nm of torque, with 75% of torque available at 1,000 rpm. As in the other Huracán models, the LP 580-2 features cylinder deactivation to improve engine efficiency. When full engine capacity is not required, five of the ten cylinders are temporarily deactivated by switching off one cylinder bank. When the driver accelerates, the system switches back instantaneously to ten-cylinder mode, while being virtually impossible to detect by the driver. This feature reduces fuel consumption to 11.9 l per 100 km (8.3 km per liter) and CO2 emission to 278 g/km. The Lamborghini Piattaforma Inerziale – the Huracán’s sensor system placed in the center of gravity of the car, tracing all 3D movements – has also been implemented in the rear-wheel drive version. It provides real time information to the optional Magneto Rheological Suspension, steering and stability control systems. The suspension system has been regulated to adapt to all adherence conditions yet emphasize the rear-wheel drive behavior in each driving mode, the company said. The LP 580-2 is available in the full range of Huracán external and internal colors and trims. The Huracán LP 580-2 is fitted with the latest Lamborghini Infotainment System II, with a 12.3 inch high resolution TFT instrument panel. Previous Lamborghini rear-wheel drive models include the predecessor Gallardo LP 550-2. The rearwheel drive Huracán LP 620-2 Super Trofeo launched in 2014.